At our house, quiche is a year round food. In the winter, I pair it with soup for a hearty meal, and in the summer it stands more on its own, usually accompanied by a fresh, crisp salad. As a family of seven, we are a two-quiche dinner family. Which works out well for everyone, because I will make one “good” quiche, chock full of vegetables, and another “plain” quiche, a standard Quiche Lorraine, with just bacon and cheese. So whichever kids don’t like my vegetables of choice that day are made happy with the plain, boring variety. 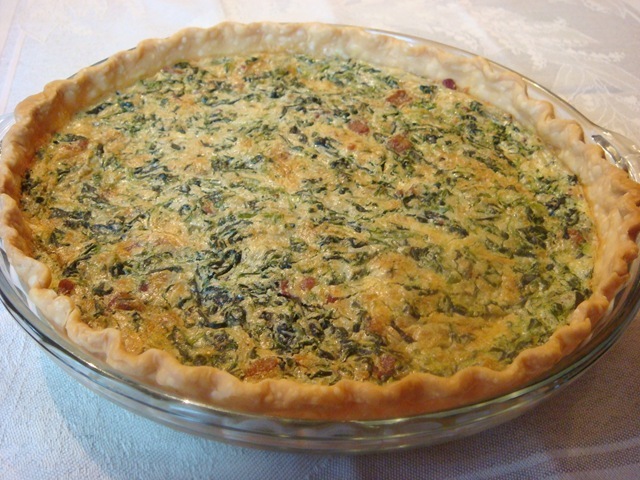 Quiche is a great way to use fresh, seasonal vegetables, especially prolific summer garden veges. 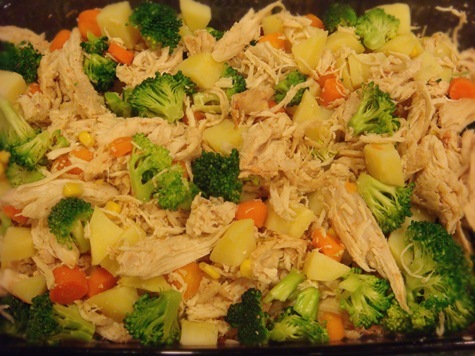 It is also a good way to use small amounts of leftovers (both veges and meat like chicken or ham). 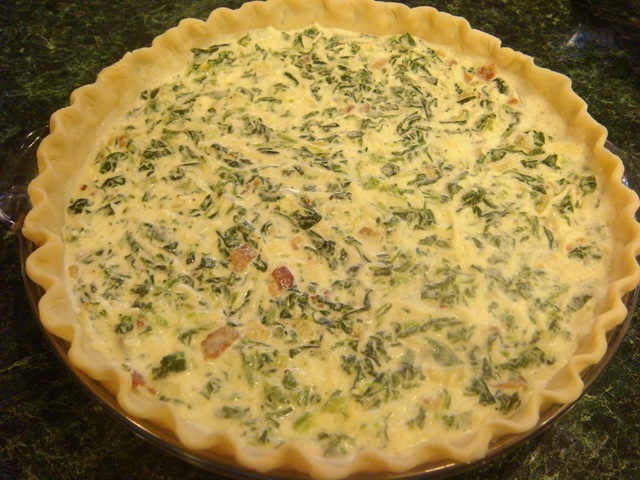 The following quiche recipe is completely adaptable to whatever meat and vegetable you have on hand. The only real recipe alteration you need to watch for is the amount of cream you use. For low-moisture add-ins (like bacon, sausage, chicken, onions, asparagus, broccoli), 2 cups works well. For high-moisture items (ham that has not been sautéed, spinach, zucchini, tomatoes). 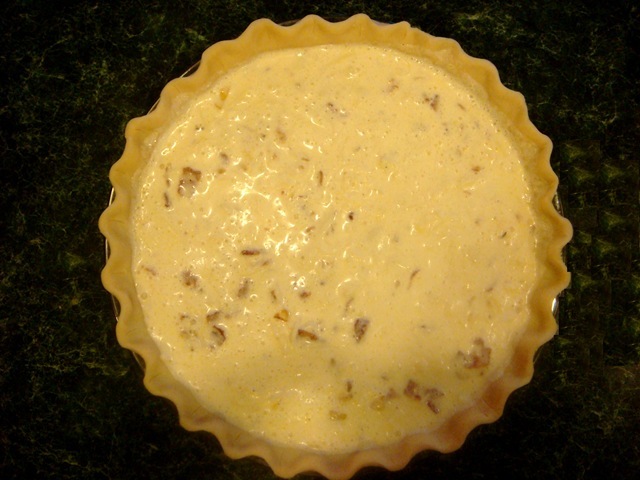 reduce the amount of cream to 1 1/2 cups or your quiche will not set correctly. 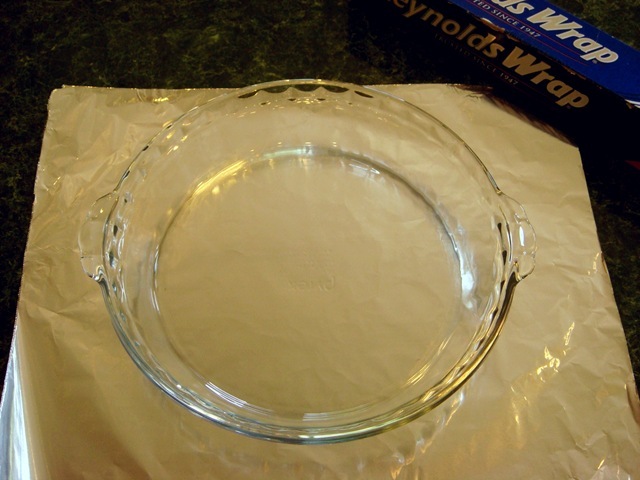 To keep the crust on my quiches (and pies!) 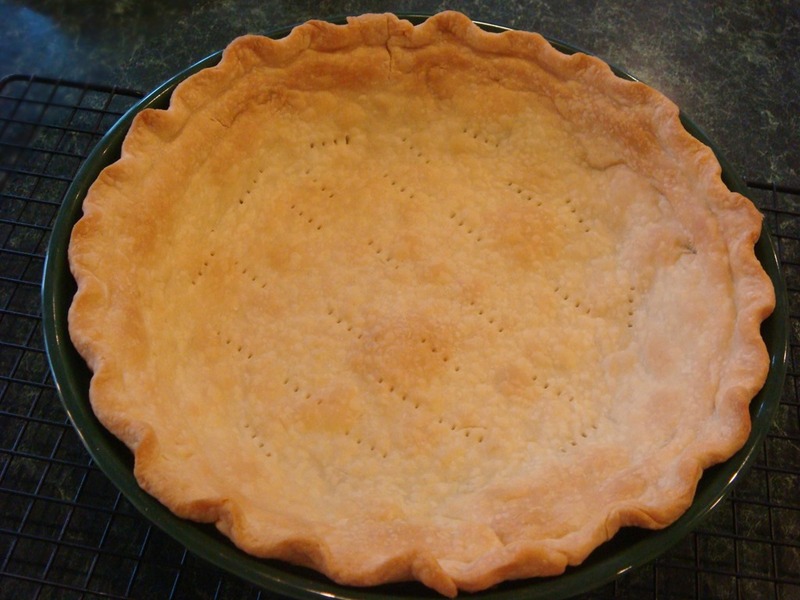 from browning too quickly, I like to use pie crust shields over the edges. I have one commercial pie crust shield, but as I am always making two quiches at a time, for the second quiche, I make my own shield out of foil. 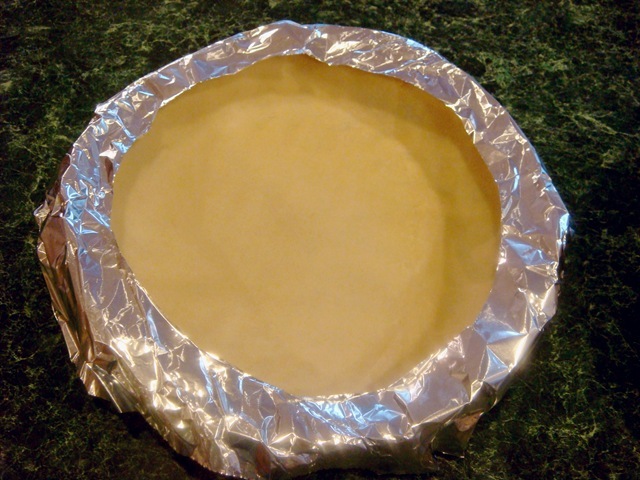 I used to try using foil strips, but they always shifted when I tried to add additional strips, or move the pie in/out of the oven, causing me great frustration. So …. You can trim the corners on the outside edge, but I usually just leave them. 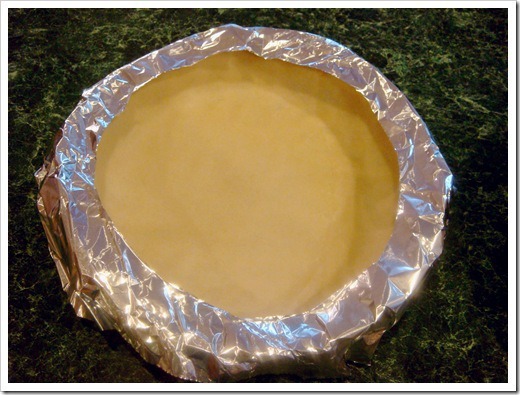 Fill your pie crust, then set foil ring over the edge of the pie. 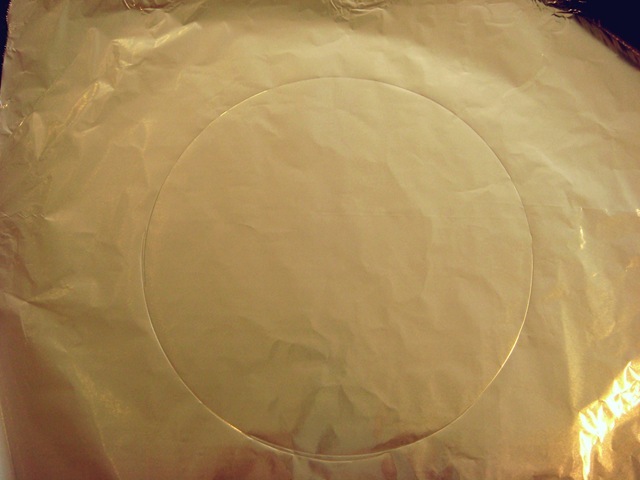 Gently fold down outer edges, being careful not to squish all of that edge-crimping you worked so hard on! 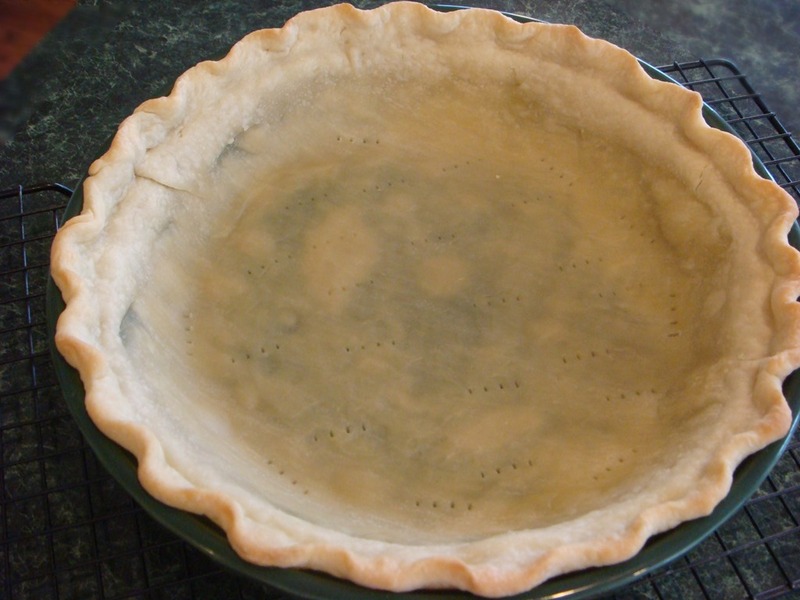 Prepare pastry crust and place in 9” pie plate (deep dish, if possible). In a medium bowl, mix cream, eggs, salt, pepper and cayenne pepper (if using). Prepare meat and vegetable filling: chop and sauté meat and vegetables like onions, peppers, zucchini, mushrooms; lightly steam broccoli; green onions, asparagus, tomatoes and spinach can be used raw, but frozen spinach should be thawed and drained to remove as much liquid as possible. Cool cooked vegetables slightly. Combine meat, vegetables, Parmesan and additional cheeses in a mixing bowl. 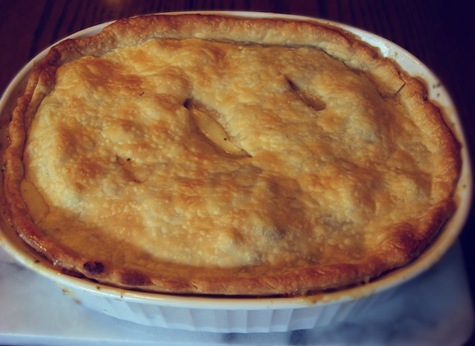 Spread evenly in pie crust. Pour cream/egg mixture over filling. 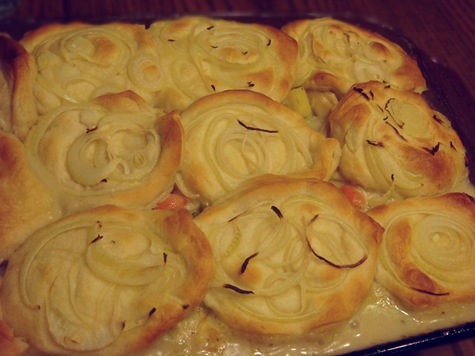 Use a spatula or fork to remove any large air pockets. 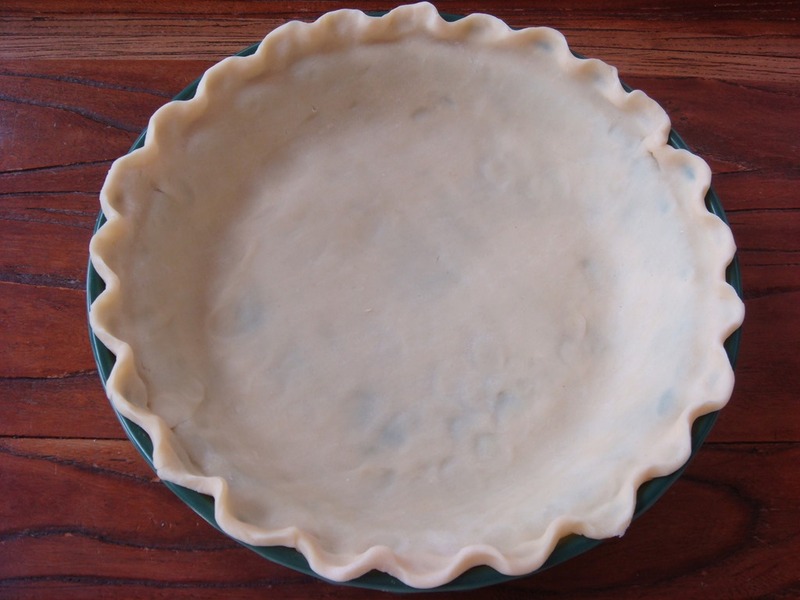 If desired, cover the crust of the quiche with a pie shield. Bake at 425°F for 15 minutes. 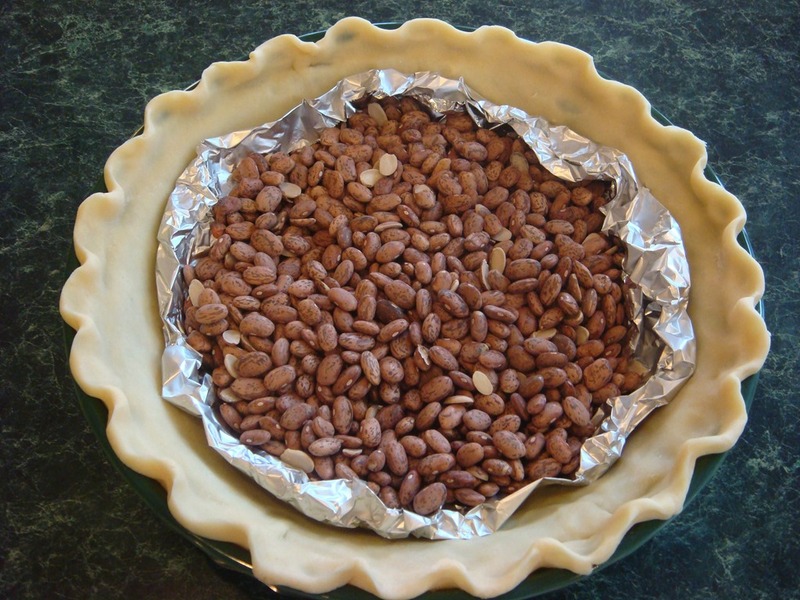 Reduce heat to 350°F and bake an additional 30 minutes, or until knife inserted in center comes out clean. Allow to set at room temperature 5-10 minutes before serving. OPTIONAL: Sprinkle hot cooked quiche with 2-3 Tbs grated Parmesan as soon as it comes out of the oven. SPINACH QUICHE: I used about 1 cup cooked, crumbled bacon, 1 onion, sautéed, and 1 box of frozen spinach, drained and then squeezed to remove excess moisture. 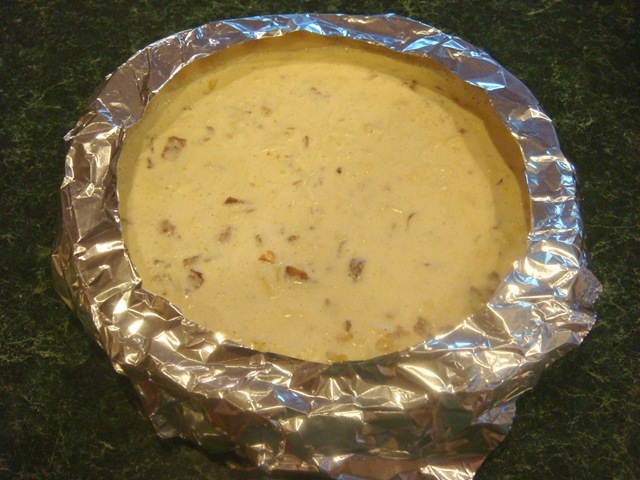 I used only 1 1/2 cups cream and 1/2 cup each Swiss and sharp cheddar cheeses. 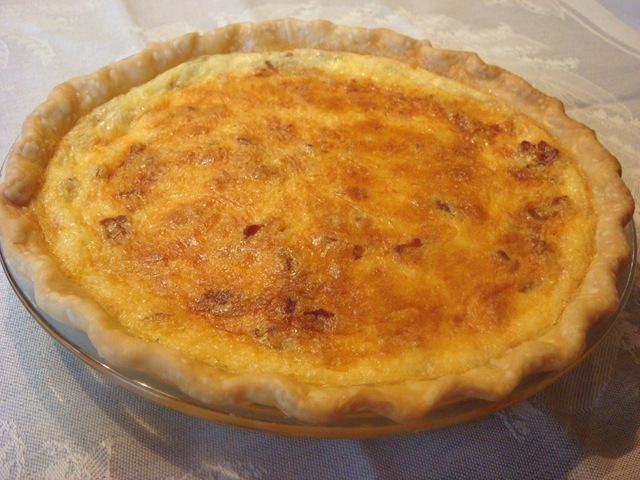 QUICHE LORRAINE: I used 1 ½ cups cooked, crumbled bacon and 1 onion, sautéed. 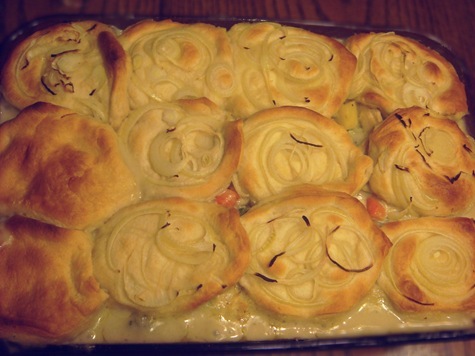 I used 2 cups of cream and 1 ½ cups Swiss cheese.